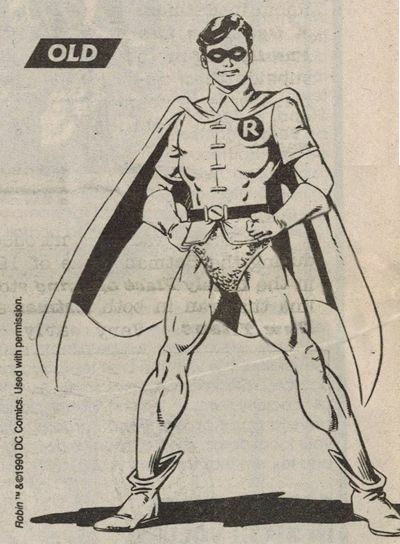 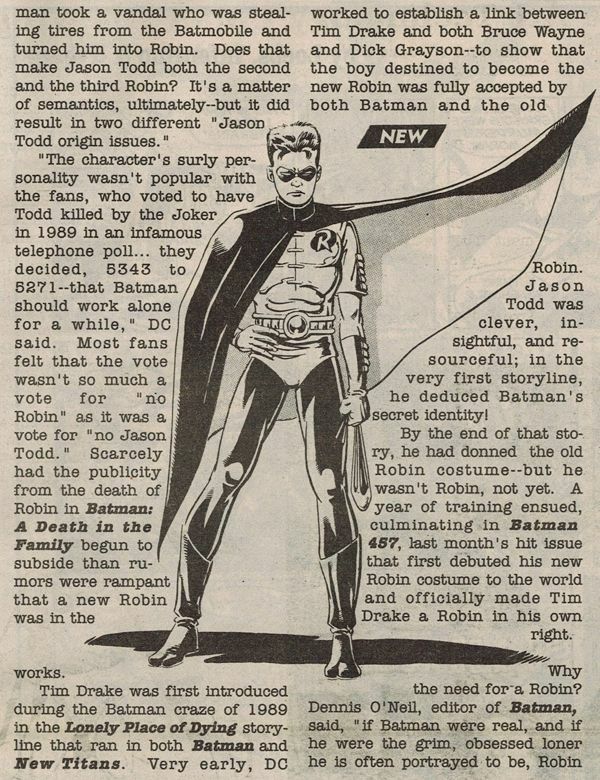 This installment of "Robin Relics" brings you Issue #179 of Comic Shop News (the comic shop newspaper). 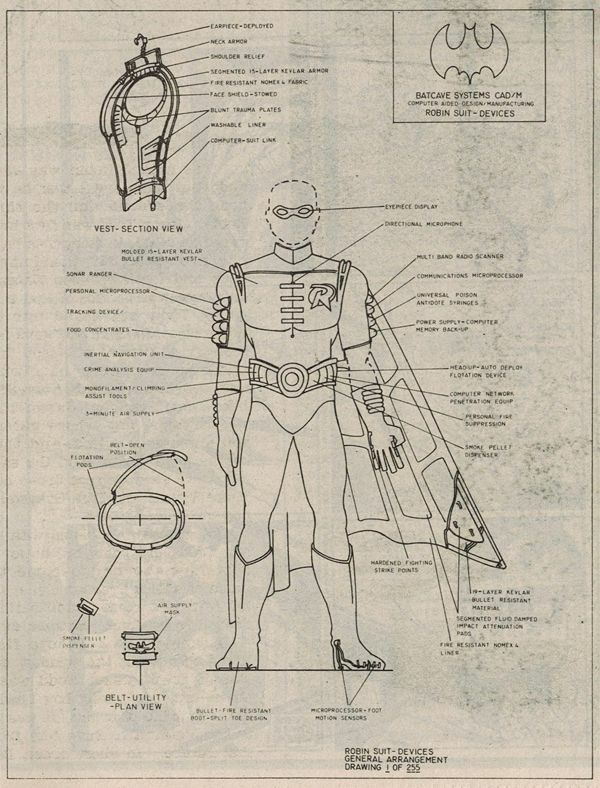 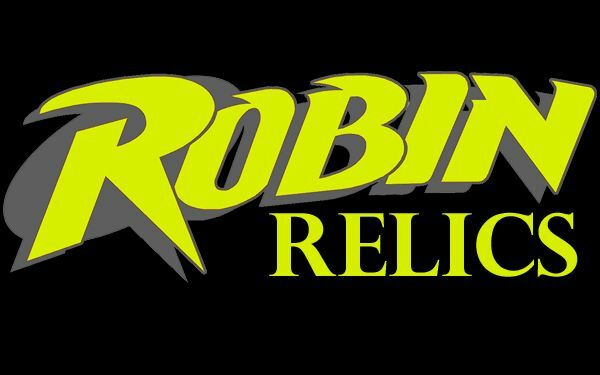 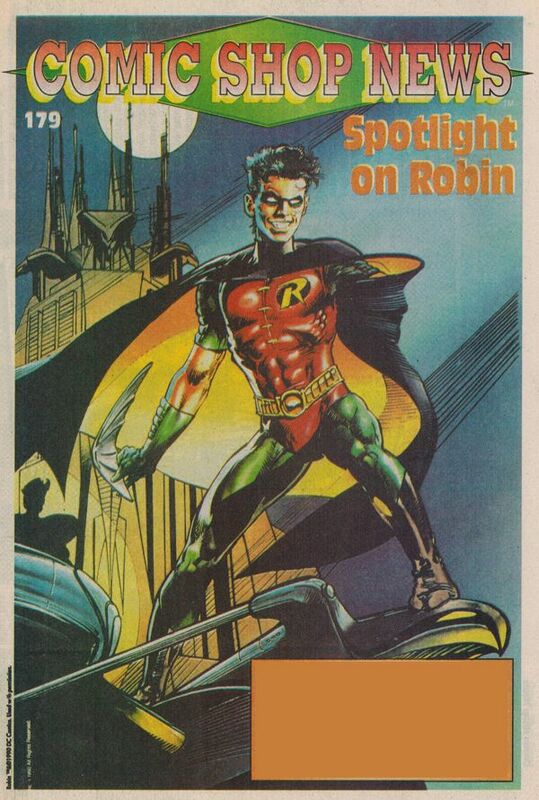 Some great content here... We get a history of the Robin character, an explanation as to why Batman needs a sidekick, a look inside the new Robin costume, and even a little blurb about Tim Burton picking the suit! 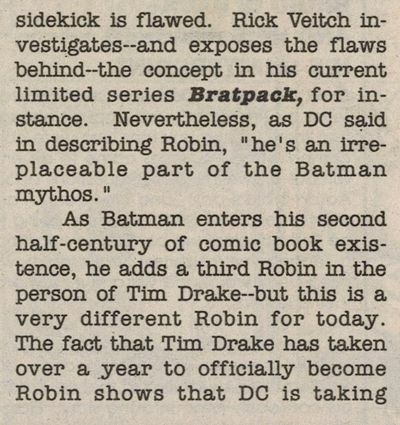 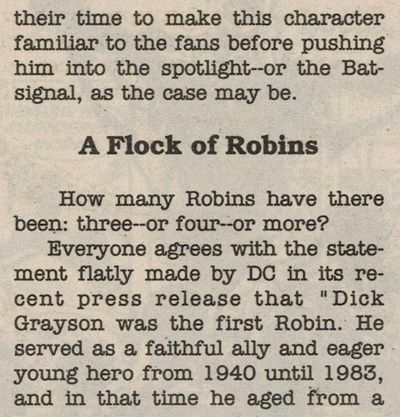 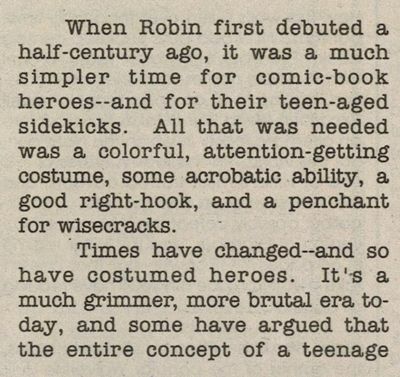 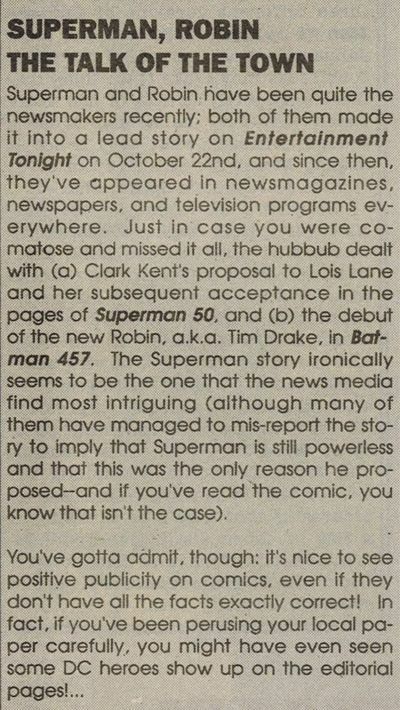 Also included in this issue is this brief snippet about Entertainment Tonight running a story on the new Robin. 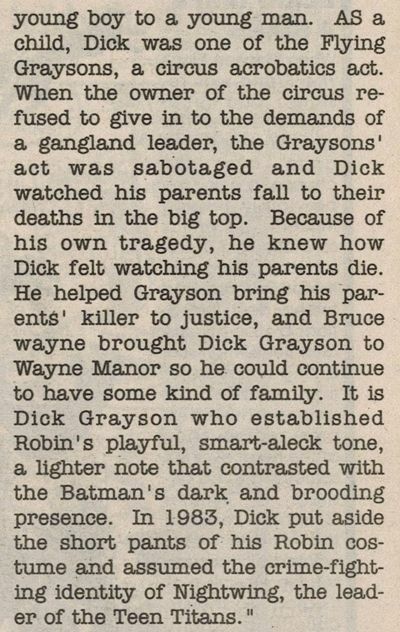 I vividly remember watching this segment when it aired. 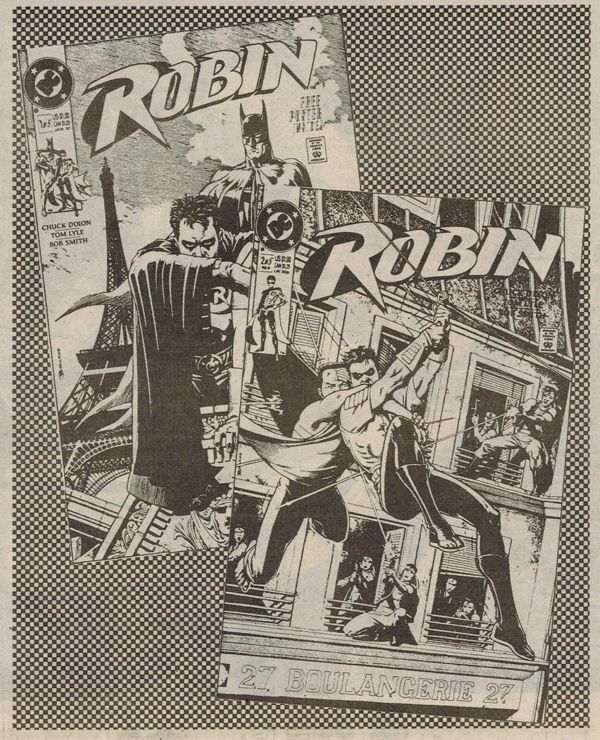 If anyone happens to have a copy of this, PLEASE e-mail me at james@1989batman.com as I would LOVE to see it again! 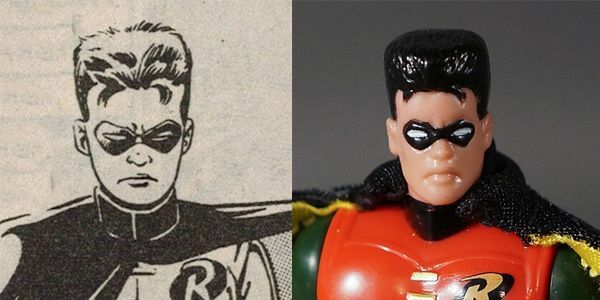 As soon as I saw that render of Robin, I too knew it had to be the reference for the Returns figure.